Bethenny Frankel isn’t the only Real Housewives star throwing her support behind Puerto Rico and the efforts to help restore the island months after the devastating storms ripped through. Former Real Housewives of Beverly Hills star Joyce Giraud is also helping the people of Puerto Rico and revealed that she was not only on a mission trip to the island, but she also was doing some filming of a project as well! Check out Joyce‘s photos below. We’ll keep you updated on any news of the project she filmed during the trip. Hopefully it’ll bring more awareness to the help that is still needed there! I hate to be a hater, but it’s usually pretty tough for me to take any Real Housewives side projects seriously. As much as I love the housewives (which is a lot), it’s difficult for me to think them as actresses, lifestyle experts, entrepreneurs, or whatever else they claim to be. With that said, six current and former Housewives are set to star in a sitcom together. Yes, you read that right- not a reality show, but a sitcom. Still, the show is a reality TV satire, so they aren’t straying too far from the norm. From spending time together on Thanksgiving to kicking off the countdown to Christmas and everything in-between, the reality TV stars shared a lot of great family pics the past few weeks. 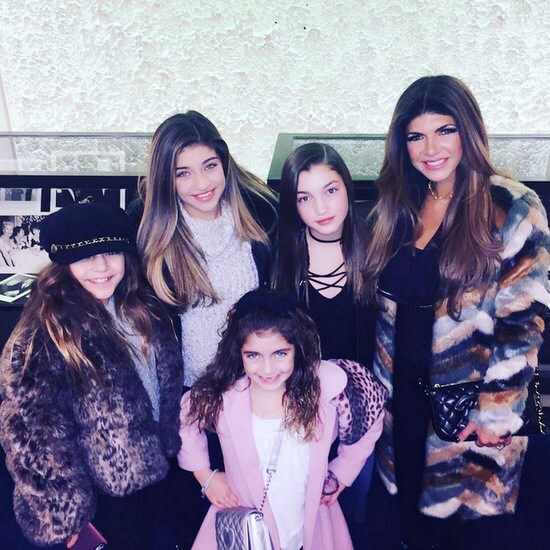 Above, Real Housewives of New Jersey star Teresa Giudice enjoyed NYC with her girls. 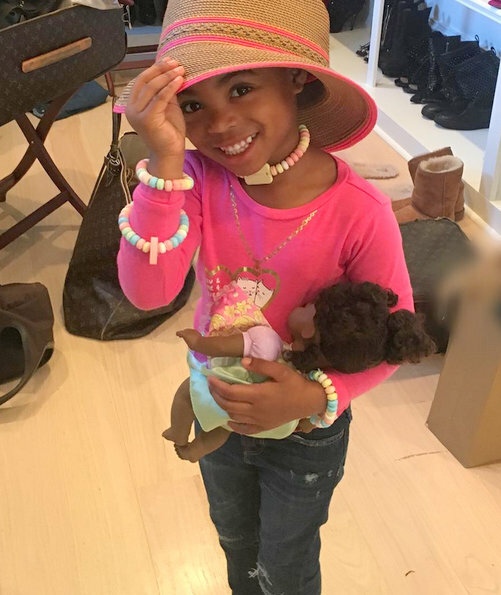 Look below for more family photos from Teen Mom OG star Farrah Abraham, Real Housewives of Atlanta star Kandi Burruss, Little Women LA star Briana Renee, Real Housewives of Orange County‘s Meghan Edmonds, Teen Mom 2 star Jenelle Evans, and more. Last night Lisa Vanderpump celebrated her first Vanderpump Dog Foundation Gala with friends, family, Real Housewives of Beverly Hills and Vanderpump Rules co-stars and former co-stars. Lisa was joined by past RHOBH stars Taylor Armstrong and Joyce Giraud, current co-stars Eden Sassoon, Kyle Richards and Dorit Kemsley, and most of the Vanderpump Rules cast: Lala Kent, James Kennedy, Jax Taylor, Tom Sandoval, Katie Maloney, Scheana Shay and more. Sidenote: Why is Shay almost NEVER with Scheana? Also spotted: Mohamed Hadid, Little Women: LA star Christy McGinty, Million Dollar Listing star David Parnes, Lance Bass (who is on the 2016 Honorary Board for the foundation), Real Housewives of Dallas star Stephanie Hollman and more. The event included music, cocktails, a silent auction and more, all benefiting Lisa’s new foundation. Let’s take a peek at how some of the reality TV stars celebrated Father’s Day! 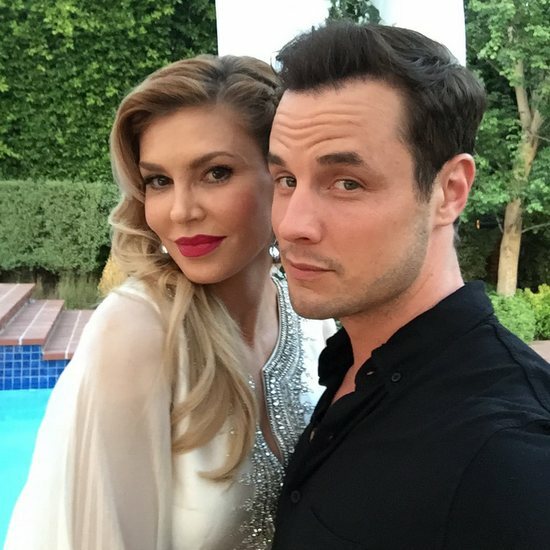 Below you will find pics from Real Housewives of Orange County‘s Heather Dubrow, Keeping Up With the Kardashians star Kylie Jenner, Million Dollar Listing New York‘s Luis D Ortiz, Teen Mom 2 star Chelsea Houska, Real Housewives of Atlanta‘s Todd Tucker, Shahs of Sunset star Jessica Parido, Don’t Be Tardy‘s Kim Zolciak, Love & Hip Hop‘s Stevie J, & more. Below you’ll find pics from Dorinda Medley, Melissa Gorga, NeNe Leakes, James Kennedy, Caroline Stanbury, Khloe Kardashian, and more. 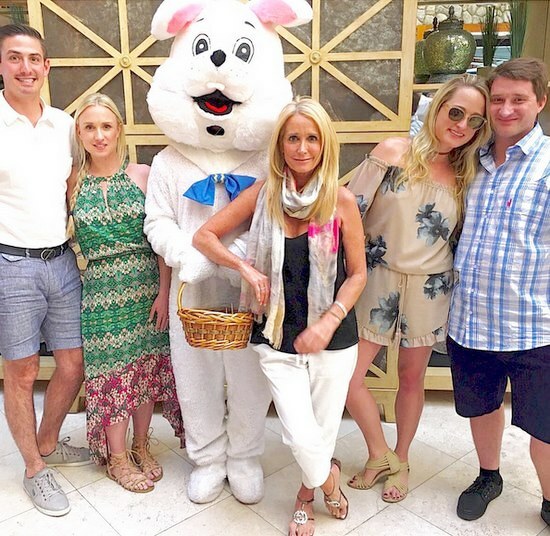 While some reality TV stars make a huge production out of going to church on Easter <cough-Jenners-cough-Kardashians-cough> for the paps, others enjoy quality time with family. Of course, they are still reality stars, so they share pics on social media. Here is a roundup of our favorite pictures from the weekend. Below you’ll find pics from Heather Dubrow, Jenelle Evans, Melissa Gorga, Tori Spelling, Courtney Stodden, Torrei Hart, Lisa Vanderpump, & more. Our favorite reality TV stars, like Caroline Stanbury, Heather Dubrow, and Chelsea Houska, love to show off their adorable kids and family photos on social media. It is tough to narrow down, but here’s our pick for the cutest pics. Below you will find photos from Real Housewives of New Jersey star Teresa Giudice, Flipping Out‘s Jenni Pulos, Real Housewives of Miami star Lisa Hochstein, Teen Mom‘s Maci Bookout, Don’t Be Tardy‘s Kim Zolciak, and more.